I’m a week or so late getting to this, but that’s the way it goes sometimes! So, we briefly return now to the glorious country of Costa Rica. We didn’t search out a lot of art there, just saw a fair amount of handicrafts in the gift shops, but one thing I did notice is that there were a variety of heads around. Carved heads, painted heads, mosaic heads…so I took a few photos of ones I enjoyed. I present to you: Headhunting in Costa Rica. 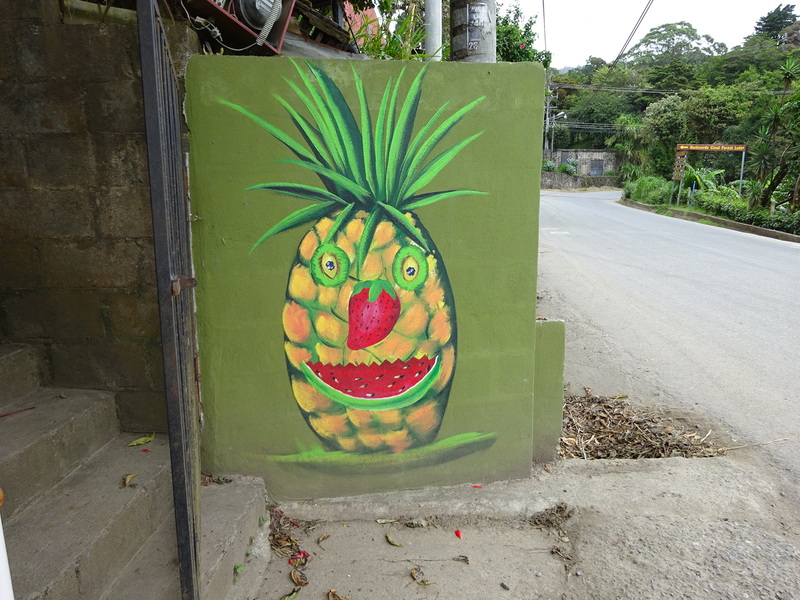 Ahhh, Mr. Pineapple Head. Who doesn’t enjoy a fruit salad for a head? This little fellow (6′ maybe?) 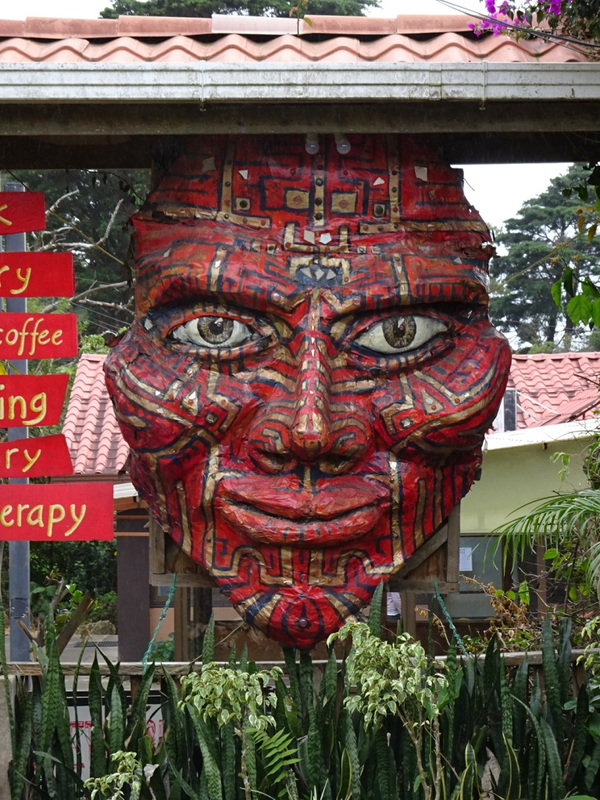 was outside an art gallery in Monteverde that actually had some quite nice pieces. Okay, this isn’t just a head, but it’s pretty darned amazing what folks can create from an old tire! 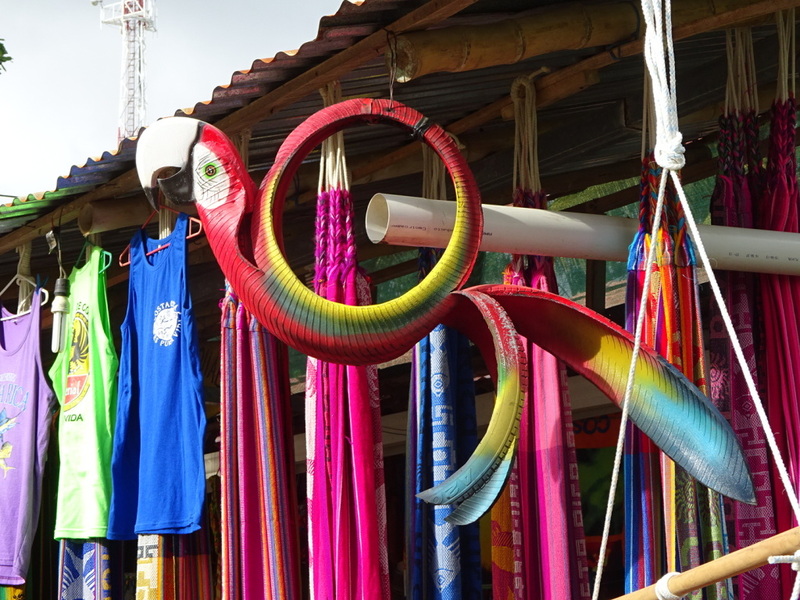 This was in a surf town way off the beaten path called Dominical.